Home› News › Movie Review: "Hard Boiled"
After my action rant recently, I had stumbled upon a few cool blogs from dudes that are really into action films: http://www.allouttabubblegum.com and http://www.mattmovieguy.com/ , who refers to himself as the “Direct to Video Connoisseur” (I am jealous of that amazing title). These blogs are loaded with information on great action films. It was on the first blog listed that I came across their 2011 list of the greatest action films of all time. 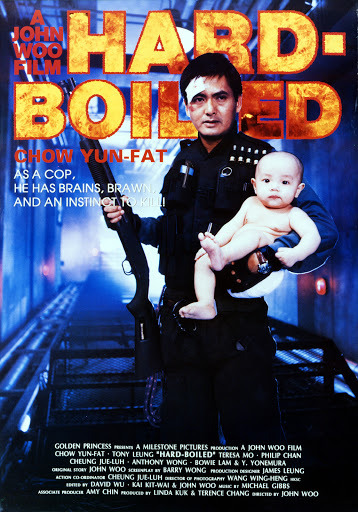 Way down at the #1 spot was John Woo’s “Hard Boiled”. I had never heard of this film being primarily a fan of domestic action films. I had only little experience with director John Woo from Van Damme’s “Hard Target”. I loved “Hard Target” and after reading other reviews for “Hard Boiled”, I had to see what the fuss was all about. Sure you can go anywhere to find a review of this film, but I think you will find my take a little different. The film stars Chow Yun-fat who plays “Tequila” who is a cheesy, over the top, cop who’s partner is killed in a gang shootout. One of the gang’s high ranked members is an undercover cop named Tony who teams up with Tequila to take out the crime syndicate. The film builds up to an ultimate showdown at a hospital where they both need to fight an army of gangsters by themselves, while rescuing innocent civilians and all of the babies. This is just a sample of the things that made me laugh loudly. Among other things were men on motorcycles that would explode after being shot and the undercover agent, Tony, getting shot point blank in the back with a shot gun from 4 feet away, not even phasing him as he manages to take out a bunch of gangsters and then goes to the hospital to reveal a very minor looking back injury. There was also repeated use of the curse word “effing”. Every other swear word in the book was in the movie so when multiple characters said “effing”, it made me laugh. There was also a scene where Tequila bursts into the Police superintendent’s office with a sketch of a suspect yelling and demanding to know who the person was. 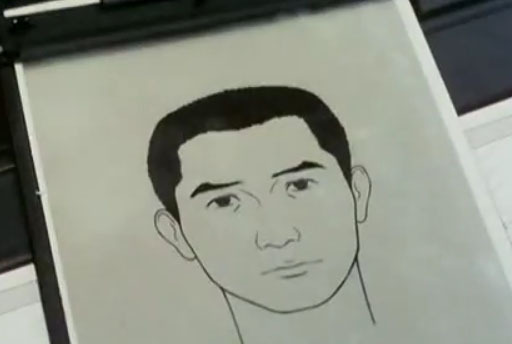 The suspect drawing was possibly the worst thing I had ever seen, mostly because it didn’t at all resemble anyone in the movie. All kidding aside, the action scenes were good in the movie, but legendary and amazing? No way. If the movie were made in 1982, I would have thought it was pretty amazing, but this movie looked super cheesy and low rent in comparison to what had been already made leading up to 1992. Legendary, this movie is not. Do I suggest watching it? Yes, its a fun movie to sit through and poke fun at. Will I be pushing for a Chow Yun-fat t-shirt to be made? Indeed.